Green Tea and Weight Loss: Can Green Tea Help You Lose Weight? You may have heard claims that green tea can help with weight loss and if you are looking to lose some weight, adding green tea to your lifestyle could certainly help. Green tea does not only offer numerous health benefits, but it also helps to improve your metabolism – this helps you burn more calories and makes it easier for you to lose weight and keep it off. There have been lots of studies that show just how effective green tea is for weight loss. But how does it actually help somebody lose weight? Has there been too much hype about this weight loss aid? Read on to learn everything you need to know about green tea and how it can help you lose weight. In this article, we look at the evidence-based research and supporting studies that show the effectiveness of green tea for weight loss. We also explain exactly how weight loss happens. Here you will also learn how to use green tea to lose weight and what you should consider when choosing the best green tea. How exactly does green tea help you lose weight? Can green tea help you lose belly fat? What results can you expect from drinking green tea daily? Green tea has become one of the most popular beverages in the world due to its proven health benefits and health-conscious consumers regularly drink it due to its positive effects on the body such as improved brain function, fat loss and a lower risk of cancer. One main reason why green tea is so popular is because of its antioxidant properties. Green tea contains several beneficial compounds, but a catechin called EGCG (Epigallocatechin Gallate) is the most powerful. Catechins are natural antioxidants which are beneficial for our health as they help to reduce inflammation in our bodies and help to fight cancer. They fight free radicals, preventing premature ageing and all sort of diseases. Several studies have proven that green tea can help with weight loss, fat loss, weight maintenance and even belly fat. 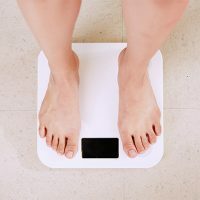 In 2009, researchers in the Netherlands looked at the results from multiple studies to see what effect green tea has on body weight and weight maintenance. When a group of moderately overweight men and women were given two servings of the extra high-catechin green tea (886 mg catechins, 198 mg caffeine/day) for 90 days, this resulted in reduced belly fat and decreased total body fat. 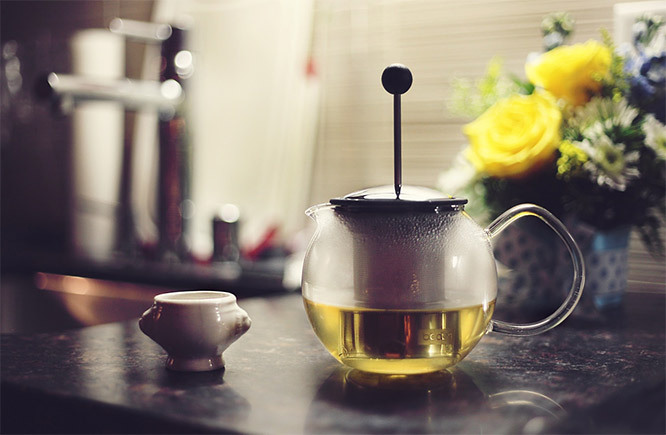 The results of this study showed that green tea can reduce body weight in obese Thai subjects by increasing energy expenditure and fat oxidation. The purpose of this research was to study the effects of green tea extract AR25 (80% ethanolic dry extract standardized at 25% catechins) on moderately obese patients. After 3 months, body weight was decreased by 4.6% and waist circumference by 4.48%. There are many more studies that show green tea is beneficial for weight loss and fat loss but it’s worth noting that some studies show that the effect is only minimal. It really depends on an individual. Some may find more success with green tea than others. Also, it’s worth keeping in mind that when you combine drinking green tea with a healthy lifestyle you will have a better success rate. Green tea doesn’t contain as much caffeine as coffee but it contains enough to have a mild effect. Caffeine is a stimulant that can increase fat burning and improve metabolism. It basically tells your body to burn more calories (it stimulates thermogenesis). Caffeine also improves exercise performance. Catechins found in green tea, EGCG (Epigallocatechin gallate) in particular, are what really makes green tea so beneficial, also for weight loss. 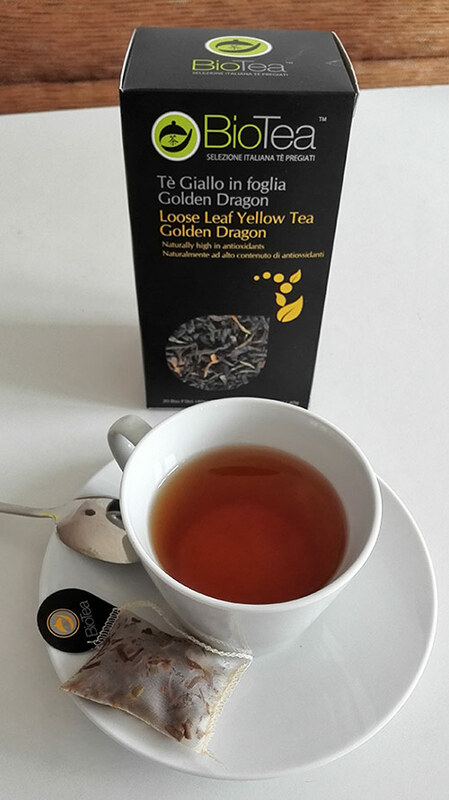 EGCG has been proven to boost metabolism and can be consumed either in a beverage (by brewing and drinking green tea) or as a green tea extract (supplement). It’s just worth keeping in mind that many studies that have proved EGCG benefits used green tea extract (not a green tea beverage). Substances in green tea help fat cells break down more fat and release it into the bloodstream. This makes stored fat available as energy. Yes, green tea can help with stubborn belly fat, as some studies have shown. However, if you want to achieve good results you have to pay attention to your diet and lifestyle as well. On its own, green tea will not help you miraculously get rid of your belly. To lose weight, you should also incorporate some of the most popular weight loss strategies such as increasing your protein intake, decreasing carbs and exercising more. To lose weight naturally, with a help of green tea you should drink enough green tea daily – at least 3 cups and increase to 5 cups, if possible, for the best results. If drinking that many cups of green tea every day is not possible for you, you can resort to taking a green tea supplement. You need to be careful though as green tea supplements have been associated with liver damage in the past. Never take more than the recommended dose and if you have any undesirable symptoms you should stop taking them immediately. It’s best to consult your doctor if you are worried about the side effects of green tea extract supplements. Avoid buying the lowest quality green tea extract which may contain several toxins that can really harm your health. Buy only from the trusted brands and never the cheapest. There are many types of green tea but not all are created equal. Some contain more antioxidants, some contain less. The best green tea for weight loss is the one that contains the most antioxidants (catechins). Make sure you only buy the best green tea and ensure it’s organic to reduce exposure to harmful toxins. If you really want to accelerate your weight loss, choose matcha green tea (a green tea powder made from whole leaf green tea). Drinking matcha green tea means that you are consuming whole leaf tea which has been ground into a fine powder. Matcha green tea contains even more antioxidants and nutrients but make sure you buy only organic matcha green tea of the highest quality that comes from Japan. You can drink green tea any time of the day but it’s best to avoid it in the evening due to its caffeine content. It’s also best to avoid drinking green tea with meals as it blocks the absorption of certain vitamins and minerals such as iron, calcium and zinc. Ideally, you would have it about 1 hour before or after your meals. It’s not recommended to drink green tea the first thing in the morning, on an empty stomach, as it stimulates the release of gastric acid and this can make your stomach uncomfortable and in the long run may even cause stomach ulcers. The best is to start your day with a glass of warm water with some lemon in it and drink even more water afterwards. Have your first cup of green tea after that. It may even be better if you have your first cup about an hour after breakfast. The results from drinking green tea daily will depend from person to person. 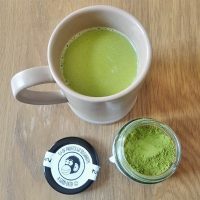 It really depends on how many cups of green tea you consume daily or whether you are taking a green tea supplement (which has a higher concentration of EGCG). The results will also be linked to your lifestyle so along with drinking green tea daily you should ensure you also lead a healthy lifestyle (get enough sleep, exercise, eat healthily and avoid sugar in your diet). There have been lots of studies showing that people lost weight when drinking green tea daily or consuming green tea extract supplement. This happened over a period of many weeks or even many months. The weight loss, in some cases, was minimal but there is no doubt that green tea helped to burn the harmful visceral fat which is really bad for your health. So, also if you don’t lose a massive amount of weight when drinking green tea, the benefits go beyond weight loss – you will improve your general health, boost your immune system and even improve your dental health. Green tea can indeed help with weight loss but drinking green tea on its own and not doing anything else to lose weight will not really help. In order to lose weight, you should introduce a healthy eating regime and exercise more. Green tea will help you on your weight loss journey by speeding up your metabolism and burning stubborn fat, even the belly fat. Remember that drinking green tea before exercise (or consuming the supplement) helps to burn even more fat so do try and incorporate this into your routine. So while green tea does help with weight loss, it’s not some kind of magical solution that will help you lose weight fast. You should use it alongside other weight loss strategies. Thanks! Yeah, it’s definitely a good thing to do for your health! Great post. I’ve been drinking green tea for almost 15 years now. I love it. I don’t need to lose weight but I drink it for the many health benefits. I also drink it for its health benefits, nothing to do with weight loss although I know it can help if you drink enough of it! Very comprehensive and well written. Thank you! I would say that your closing note about other lifestyle changes is vital. Regardless of its antioxidant content and the ability to speed up the metabolism, green tea can’t do much on its own. Here’s a great way to use it as a weight loss support: morning green tea routine for an energy boost + morning workout/stretching/running. Glad you liked the article Alex and thanks for your additional tips!